~ can now walk, walk really really fast and even attempt to run. She walks everywhere around the house. ~ can easily climb up the stairs. Oh, and when you try to block the stairs, she always finds her way to get there anyway. ~ can climb my TV cabinet. ~ watches TV like I don't exist. ~ imitates every single words you say. She can now say 'Mama', 'Baba', 'Babab', 'Muahh', and everything else which sounds like she can almost say it! 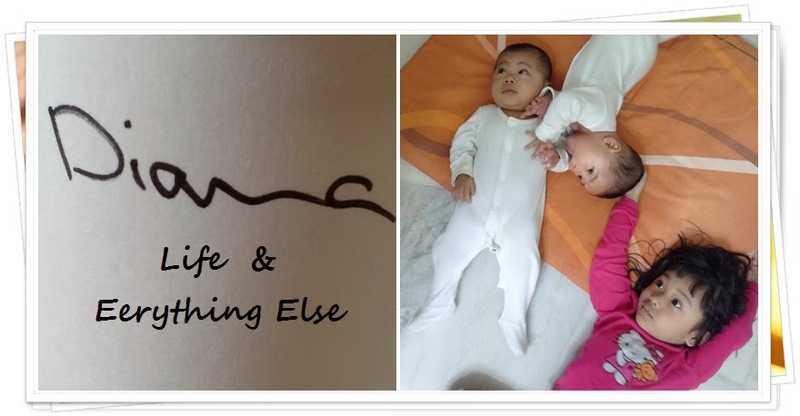 ~ has stopped eating porridge since 9 months old, and now she just wants everything other people eat. But no, no, Mommy said "you can only have some which are good, otherwise eat your soup!". ~ knows how to sulk when Mommy leaves her in the morning. "Let's not talk to Mommy," she said, "because she's leaving me with this stranger who looks after me everyday." ~ has loads and loadsa toys that she loves, but when Mommy's around, she's more interested in what Mommy is doing. Not her toys. ~ has a very loud voice! ~ knows how to nag at Mommy, when Mommy's too busy and late in tucking her into bed. Love, love, love Ayesha Amani!